The trailer for 'Gravity', the science-fiction 3D movie starring Sandra Bullock and George Clooney, has been viewed 15 million times more than its closest best picture Oscar competitor, 'The Wolf of Wall Street'. 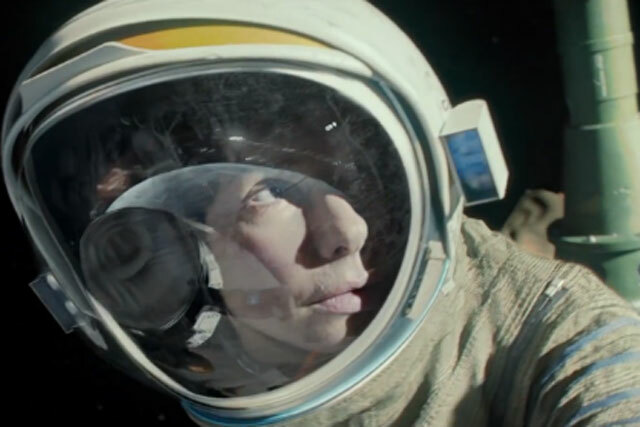 ‘Gravity’ takes pole position leading up to the awards evening on Sunday with more than 42 million views, according to the internet video measurement company Visible Measures who analysed 7 billion video views of movie trailers from across the web. ‘The Wolf of Wall Street’, starring Leonardo Dicaprio, Jonah Hill and Matthew McConaughey, ranked second with just under 27.5 million views. The trailers for ‘Captain Phillips’, starring Tom Hanks, and ‘American Hustle’, whose all-star line-up includes Bradley Cooper and Amy Adams, ranked third and fourth respectively with more than 18 million views each. Steve Coogan's ‘Philomena’, starring Coogan and Dame Judy Dench, was the least-viewed trailer in the Best Picture' category, according to Visible Measures. The British film, based on the book ‘The Lost Child of Philomena Lee’ by the journalist Martin Sixsmith, has been viewed fewer than half a million times according to the data. Is real-time engagement a big risk?